Red Bird Earrings. 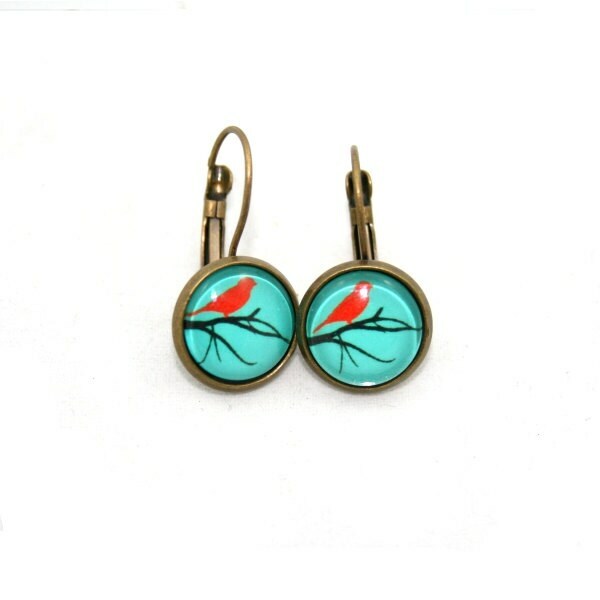 These earrings have been made by encapsulating little red bird images under glass domes and setting in antique brass cameo earring frames. Great product, speedy delivery- love them! Very striking earrings. Light and delicate to wear, not large or heavy. Love these! The illustration is fixed to the clasp and I'd thought by the description that they would dangle - but that's fine! I just hadn't expected that. The pictures are lovely and I'm really pleased, gotten loads of compliments for them. I bought this pair of earrings and a 2nd pair- LOVE them both! Great quality and super cute.